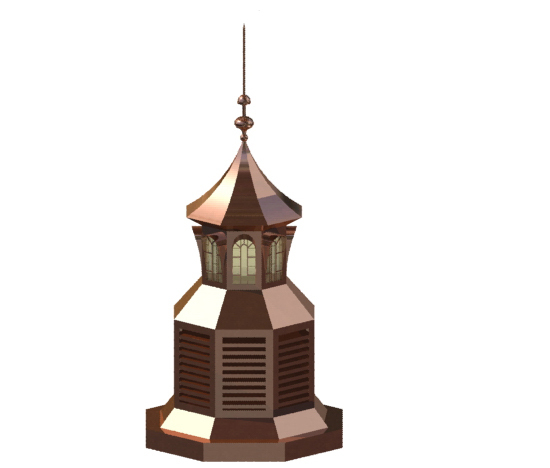 A Cupola is a small dome-like structure affixed to and rising above the skyline of a rooftop; it is shaped like an upside-down bowl and can be used to boast the overall decor or for ventilation purposes. 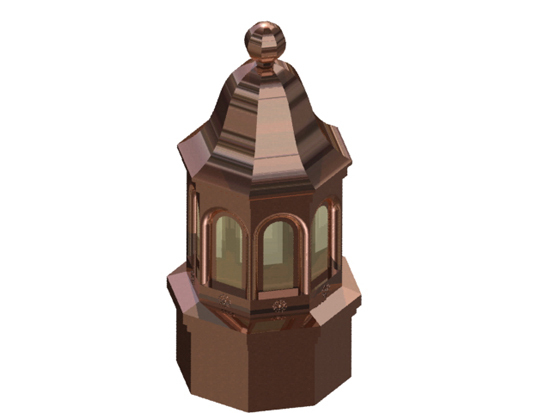 The Bellhop Copper Cupola reveals that the underpinnings of classic architecture, firmly rooted in its use of geometry and proportion. It’s seen in the overall shape of the rhythmic and intricate patterns that flow into the curvaceous design with the placement of the windows and its Copper ceiling arch. 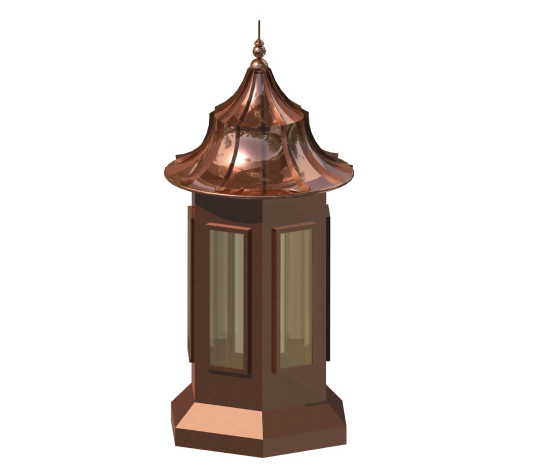 The Caesar Copper Cupola is an instantly recognizable feature of architectural perfection, boasting nice curvature with a unity of style that is sure to cause rubbernecking! The Cottage Copper Cupola is where tradition meets opulence. It maintains a look of austerity with an uncompromising sophistication designed to consist with nearly any existent structure. 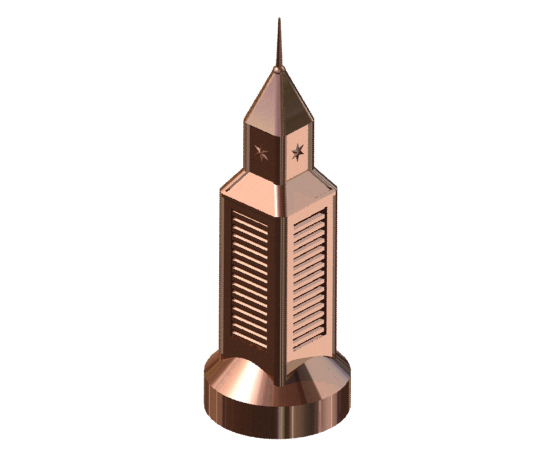 The Empire Copper Cupola is at the hilt of class and taste. This vividly represented structure is recognizable in the classicist vein of Medieval architecture. The Empire appellation is quite apropos — due to the architectural integrity and the formidable practicality found in the staggering slabs which generate a nice conduit for ventilation. The Fountain Copper Cupola is a splash of style, a touch of grace, with a taste of absolute perfection. 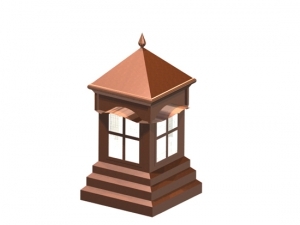 This bespoke style is progressive in look but traditional in its overall aura. The Lantern Copper Cupola is the lighthouse to your structure. 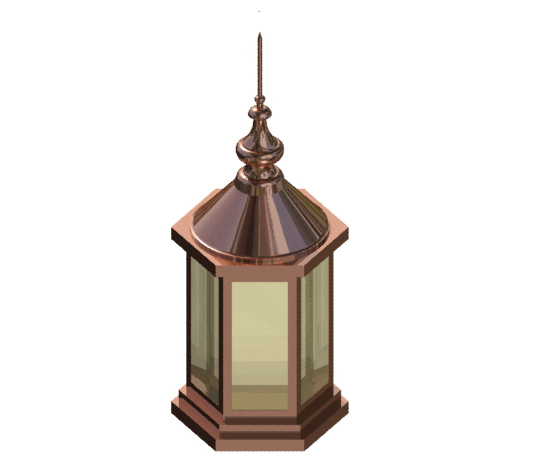 This rustic yet refined look provides old-world elegance through its antique and unique details. 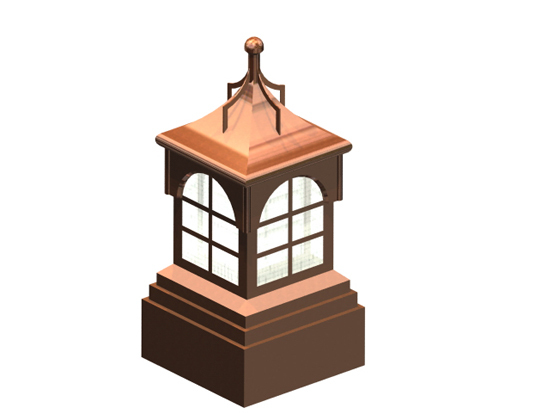 The Palace Copper Cupola shows that all buildings are part of a single continuum that characterizes the built world. 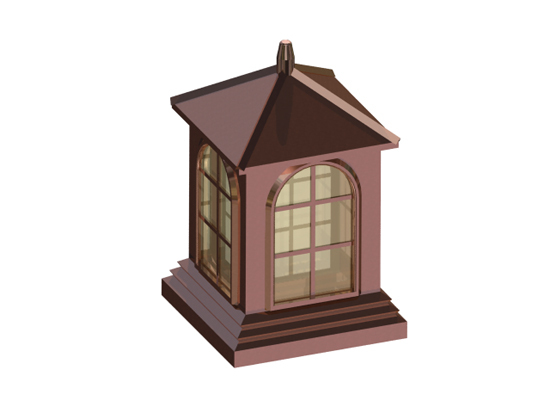 This designs may be used to impart both functional as well as aesthetic character to a project. Siding and roofing materials and colors may also be used to further enhance or blend the building with the environment. The Peccadillo Copper Cupola seeks to ennoble once again the common worker, emphasizing the hand-made over the mass produced. 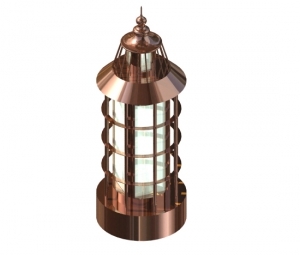 This movement is thoroughly reflective of the Victorian era in style and design taste. The Royal Copper Cupola consists of style incorporated aspects of clean lines, sturdy structure, and high-grade materials. 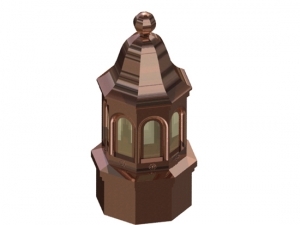 Mix and match the various glass styles available using our state-of-the-art merchandising system. 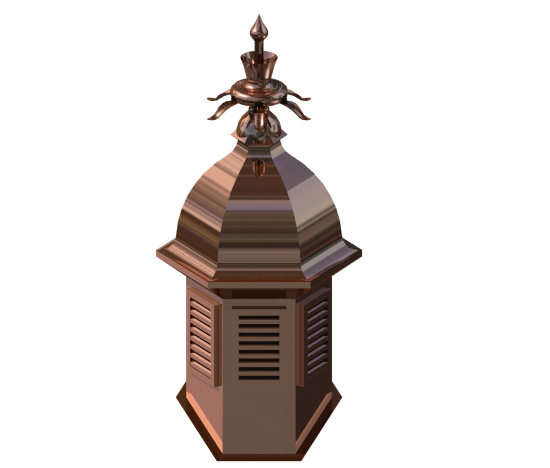 The Spearhead Copper Cupola is a stern application of conscientious detailing and master craftsmanship. This style showcases the popular idiom of refined style and is one of the most sought after designs. The Temple Copper Cupolais a style characterized by simplicity, democratic design and organic shapes. 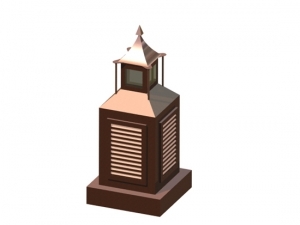 This modernistic style is where the old world meets the new, teeming with class and youth. 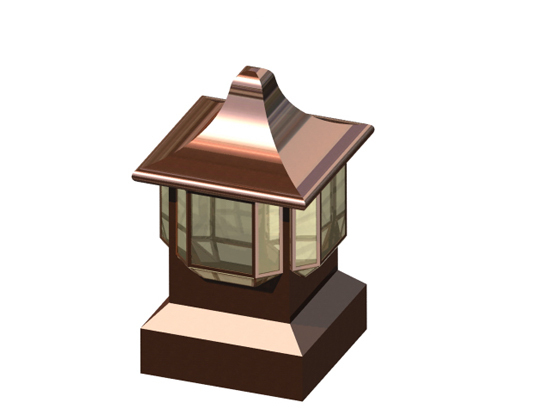 The Villa Copper Cupola demonstrates tractable opulence and grandeur in its postmodern elegance. This design is filled with international pre-eminence.